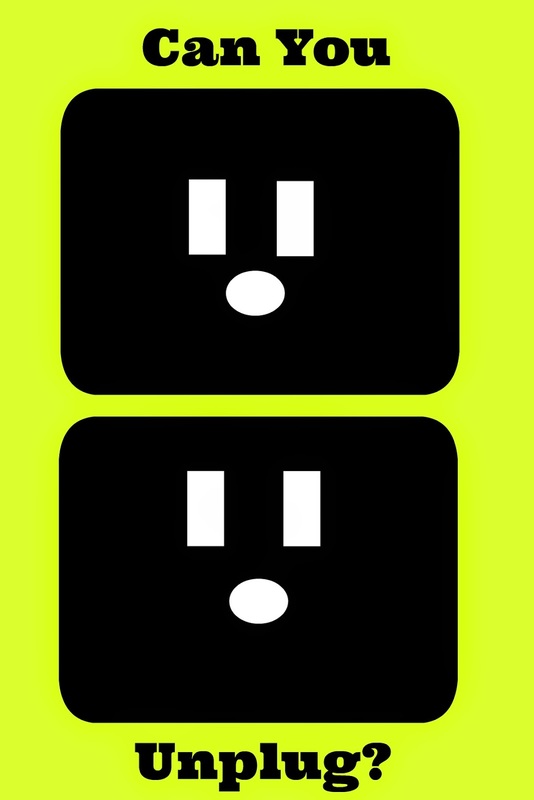 twingle mommmy: Can You Unplug? Last week I went MIA for my 10 year wedding anniversary. My present to my husband was to unplug for our vacation. I did tell him that I was going to upload a few pictures to Instagram because I wanted to have some edited photos of our vacation. But I made a promise not to scroll through pictures, just edit and upload my own pictures. It sounds really easy doesn't it? Just unplug for 4 days and enjoy a vacation. Ten years ago on our week long honeymoon it was the easiest concept in the world. I didn't have a smartphone back then or a Facebook, Pinterest, Twitter, or Instagram account. No temptations for me to get distracted 10 years ago. Unplugging wasn't even a concept for me 10 years ago. Today it's extremely difficult for me to unplug. If I have a few minutes to spare, I jump on Facebook or Instagram to kill the time. I regularly check my email on my phone to answer quick questions or delete the ones I don't need to read. By the third day of our trip my phone informed me that I had a little over 300 emails. It took tremendous self control to ignore those emails and not check Facebook which was a real eye opener. When did this happen to me? Is it because I'm a blogger? Do other people struggle with social media as much as I do? Why is it easy to ignore my phone for a few hours but stretch that into days and it feels almost impossible? I was able to stay unplugged for my vacation. It got a little easier each day to ignore the insane number of emails that were pouring in and stay focused on relaxing. I'm grateful that I unplugged during our vacation. I didn't realize how 24/7 my life has become before this break. I was able to completely relax and focus on my husband. It wasn't just a gift for my husband, it was a gift to myself as well. Do you ever unplug for long periods of time? It can be so challenging now that we are used to the constant availability. I try to make a good effort to do so on a regular basis especially in front of our son now as I don't want him to remember mommy & daddy on their phones, tablets, computers, etc ALL the time when he thinks back on his childhood. I sometimes will carry my camera with me on our adventures now simply so I'm not as tempted to pull out my phone to snap the moment which then can lead to Instagram or twitter or Facebook or checking email or .... :) So, yes, I totally get it. Oh and I will be unplugged when this baby arrives. That was important to me 5 years ago for our son and is important to me now too. I want to be in that moment and those early days - not busy tweeting it all! I think I need to buy a camera just so I don't have to use my phone for a camera. It's so tempting to post that cute picture real fast and then you're not in the moment. Enjoy unplugging when you have the baby! I have been working hard on this, too! Just taking breaks during the day where I physically lock my technology away. I am not one of these who thinks technology/smartphones/social media is bad or evil. But everything in moderation, right? It feels so good to get that break. I feel so much better, re-centered, when I get back. Yes, moderation is key. I didn't realize how much I needed a break until I took one. I have a difficult time unplugging.